Last week’s other top-gaining mining stocks on the TSX were Northern Dynasty, Royal Nickel, GoldMining and Maya Gold and Silver. The S&P/TSX Composite Index (INDEXTSI:OSPTX) opened 57.58 points lower on Friday (February 8) at 15,645.78, weighed down by global concern of a growing economic slowdown, paired with a rising domestic unemployment rate. Ten of the 11 major sectors were lower, led by the energy sector which was down 1.4 percent despite an uptick in oil prices. Trade tensions here and abroad continue to impact the global economy, causing investors to be cautious. By midday, the TSX had fallen by 91.10 points since the previous day, sitting at 15,612.26. Northern Dynasty is a diversified explorer and developer currently working to advance its solely owned Pebble project in Alaska. 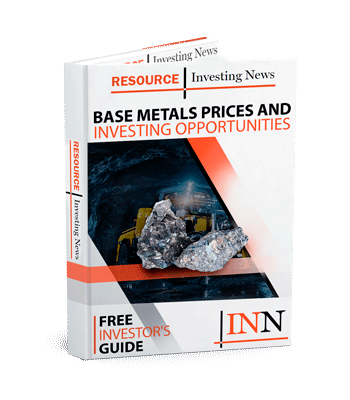 Northern considers Pebble to be a world-class copper, gold, molybdenum and silver resource. The project is presently in the advanced engineering stage, with permitting being the next step. Northern Dynasty made no company announcements last week. Company shares were up 23.81 percent, to C$1.31. RNC is a precious- and base metals-focused explorer and developer, possessing assets in Canada and Australia. The company is currently engaged in the advancement of several projects including the Dumont nickel project located in Quebec, the Beta Hunt gold and nickel mine in Western Australia, and the Reed mine in the Flin Flon-Snow Lake region of Manitoba. The company has not released an announcements since mid-January. RNC stock grew by 20 percent, to C$0.72. Precious metals explorer GoldMining is currently engaged in the acquisition and development of a number of gold assets in North and South America. In addition to its diversified portfolio of gold and copper projects in Canada, the US, Brazil, Colombia and Peru, the company also has an interest in the Rea uranium project, in Canada’s Athabasca Basin. No press releases were posted by GoldMining last week. Shares in the company climbed 15.05 percent, trading at C$1.07. Morocco-focused Maya Gold and Silver is a precious and base metal developer with a number of past-producing mines and high-potential exploration properties. The company’s flagship project is the Zgounder silver mine in Morocco. Maya Gold and Silver released no company news during the period. Stock was up 14.21 percent, to C$2.17. Ivanhoe is a Canadian mining company advancing three principal projects in Africa, the Kamoa-Kakula copper project in the Democratic Republic of Congo (DRC), the Platreef platinum, palladium, nickel, copper and gold project in South Africa and the widespread redevelopment and upgrading of the historic Kipushi zinc, copper, germanium and silver mine, also in the DRC. 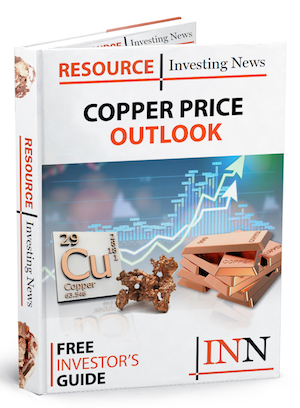 On Wednesday (February 6), Ivanhoe announced the results of an independent prefeasibility study for the Kakula copper mine. Ivanhoe stock was up 13.04 percent, trading at C$3.12.